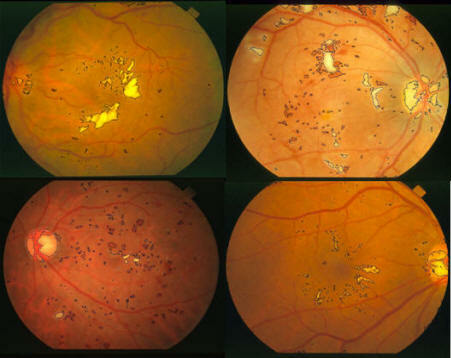 We have studied feature extraction for both anatomical structures, such as optic disc and blood vessels, as well as various pathological lesions associated with Diabetic Retinopathy (DR). This feature extraction research is very valuable to improve the efficiency and consistency of retinal image evaluation that is a subjective, costly, and labor-intensive process. Specifically, we have proposed a unique retinal lesion detection algorithm that is able to deal with all five types of DR lesion. The highlight of this lesion detection algorithm is a novel combination between a linear parametric edge model and the non-linear multiscale morphological processing. X. Zhang and G. Fan, “Retinal Spot Lesion Detection Using Adaptive Multiscale Morphological Processing”, in Proc. 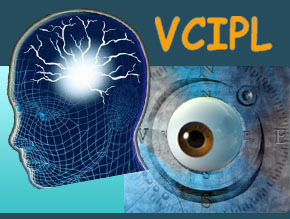 International Symposium on Visual Computing (ISVC), Lake Tahoe, NV, Nov. 11-13, 2006, also in LNCS, Vol. 4292, Editors: G. Bebis, Springer, 2006.